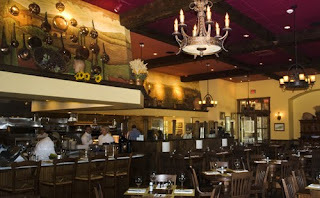 Dear Bootsie: I've heard great things about Mandola Winery in Driftwood, Texas. Do you know much about it? 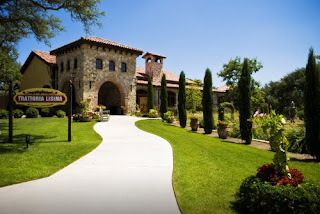 Dear Guest: Mandola Estate Winery is a short 10 minute drive from The Inn Above Onion Creek. Damian Mandola and his wife Trina have built a beautiful Italian inspired winery that is one of the premiere stops on the Texas Wine Trail. Damian has brought his many years of culinary experience to Trattoria Lisina restaurant, a beautiful Tuscan style restaurant that serves delicious Italian fare. August 28th at 7pm, Mandola Winery will be hosting a special dinner to celebrate the bottling and release of their new red wines. There will be four courses each paired with one of their new red wines. Then on September 4th, they are hosting a Piemont regional dining experience to celebrate the cuisine of the Piemont region of Italy. Italian wines will accompnay dinner to make the Italian dining experience complete. Coming in the fall, Mandola winery will be hosting cooking classes that will focus on specific regions of Italian cusine. I'll be sure and let you know when they set a schedule. An Italian cooking class and a stay at The Inn Above Onion Creek Bed and Breakfast would make for a romantic getaway on the Texas Wine Trail.